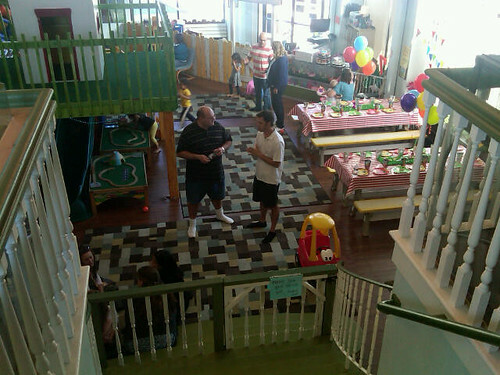 If you have a small child and live anywhere close to Northeast Los Angeles, you've probably spent time at Peekaboo Playland, either for a kiddie birthday party or as a place to meet up with others for a kiddie playdate. 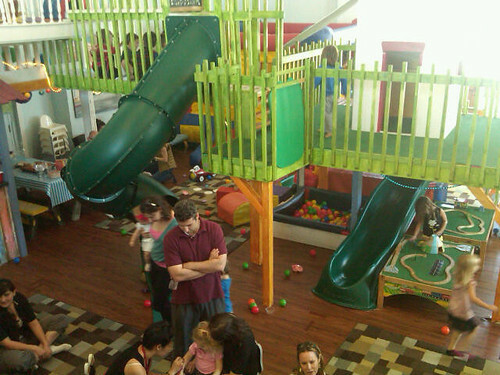 When we first started going to Peekaboo, the Blogger Kid was still the Blogger Toddler, and the indoor playland was located in a small space in Eagle Rock. Peekaboo eventually found a much larger, more prominent spot on Colorado Blvd. 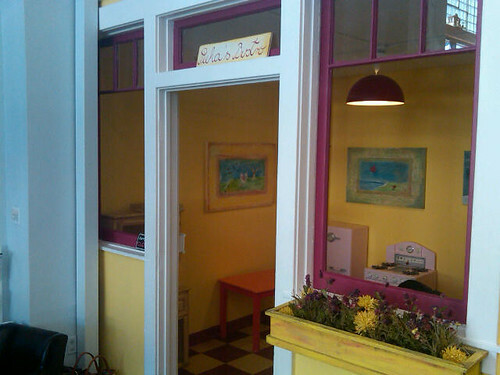 in Eagle Rock -- just down the street from our beloved Swork Coffee -- and it has become a much more popular destination for youngsters in the area. 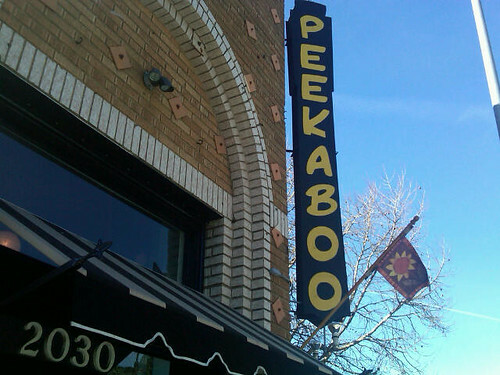 It's also a popular spot for filming: Peekaboo doubled as a pre-school on "The Office," and our pal Jeff tells us that it played a prominent role in one film he screened at Sundance. 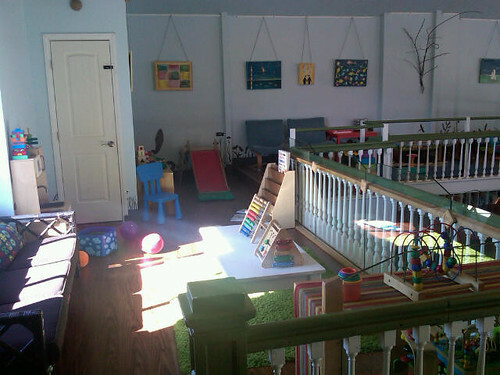 Our building’s 3,300 square feet are split up between a main play area with cathedral ceilings, a spacious mezzanine, two activity rooms and two bathrooms. 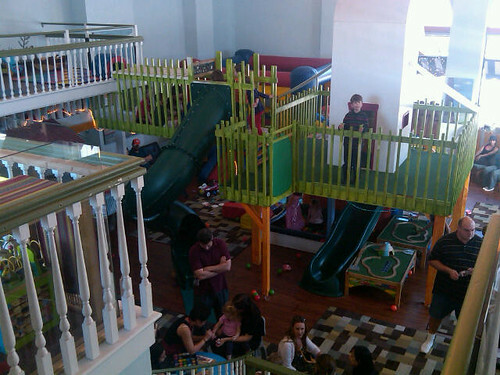 Whether it’s sizzling hot or rainy and gray outside, the climatized indoor playground is always the perfect setting for play dates and parties. 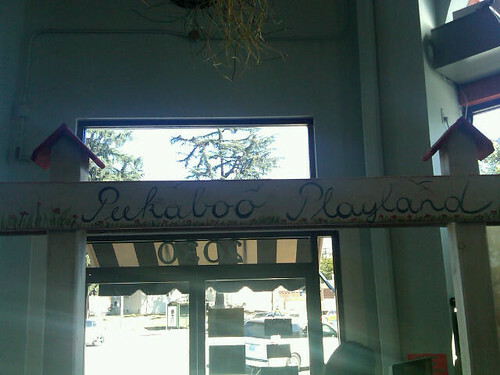 Peekaboo Playland is designed to ignite children’s imagination and drive to explore as they climb up our gigantic “stork’s nest”, slide down the tube slide, jump in the inflatable bouncer-slide combo, dive into the baby ball pit, hide out in our little cottage, get creative in the beach-themed reading/arts&crafts room, change in and out of costumes in the dress-up nook or whip up a pretend gourmet meal in the children’s play bistro. 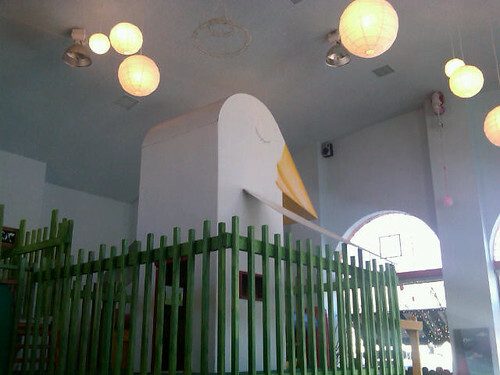 From playing with the train tables to wheeling around their baby dolls in mini strollers, from driving around small cars to climbing over softplay structures, we guarantee your child will have a blast. 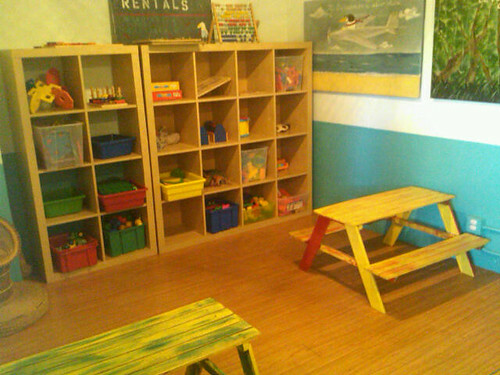 While their kids are enjoying the playground, caregivers can easily keep an eye on them while socializing with their peers, browsing or working on the internet through free Wi-Fi access, reading in-house magazines and enjoying a fresh cup of complimentary coffee.